I said HERE that I would share some pages of my scrapbooking class. Here's Day 1 and 2. I'm enjoying creating just for me! Learning lots too! You'll see I haven't ventured into photos and journalling, just journalling for now. 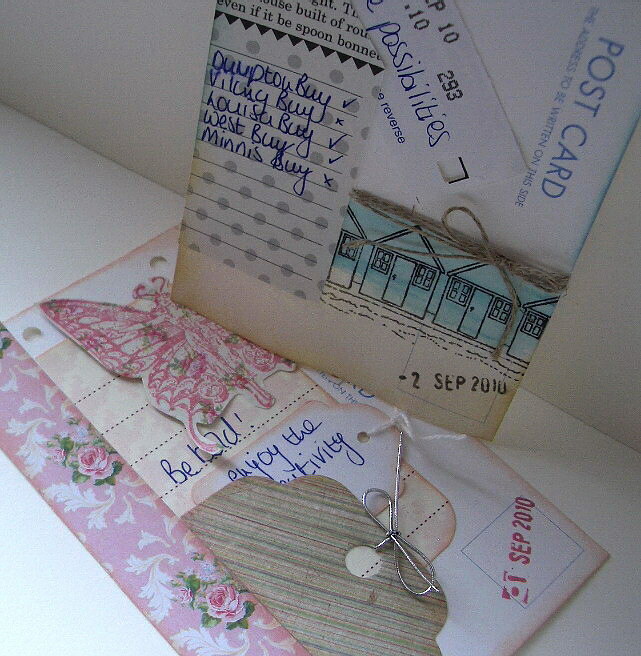 I've used blank postcards for my pages decorated with some my favourite stash and stamps I'd yet to find a use for.